Cooler Today. Warmer on Friday. Sunshine over most of Wyoming in the summer is a common occurrence, about 75% of the time during the summer. 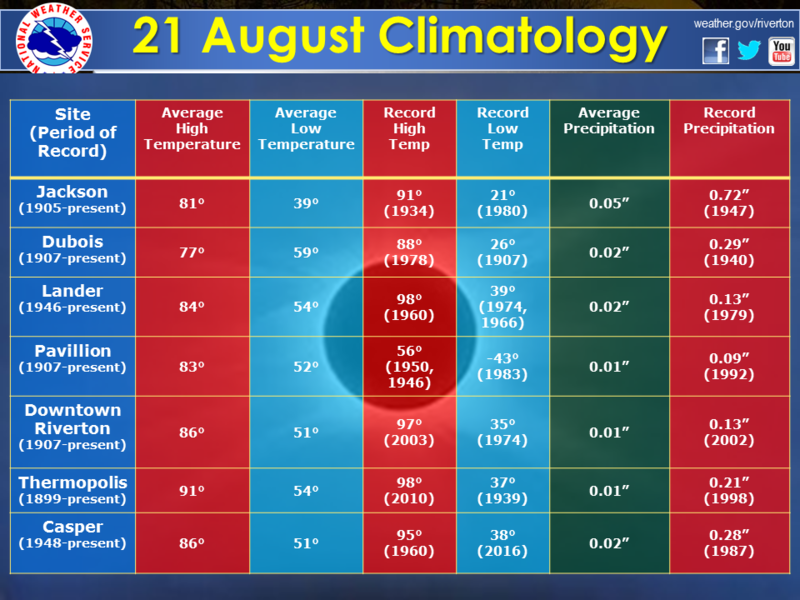 A minimum in cloudiness occurs in the late summer especially during the morning hours. Cumulus clouds develop almost every day contributing to partly to mostly cloudy afternoons. 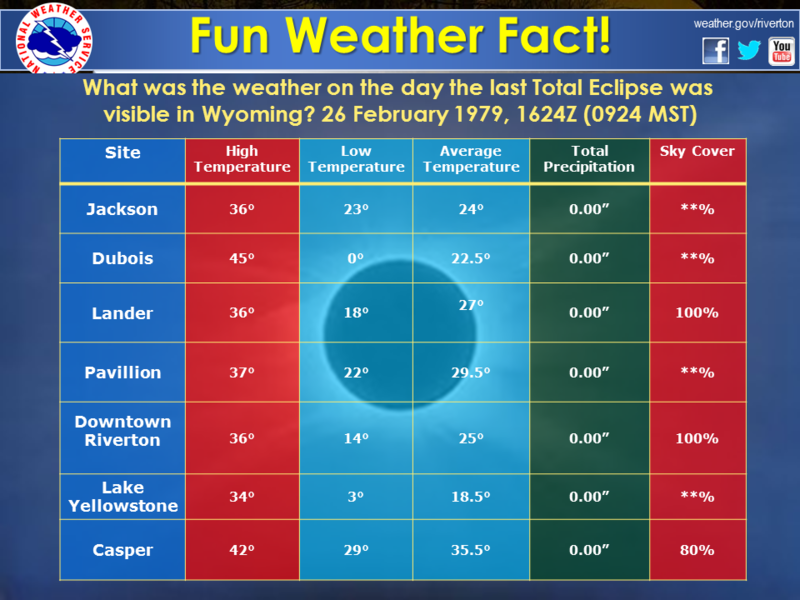 If you are looking for the odds of seeing the solar eclipse Wyoming the odds are in your favor. The solar eclipse will reach totality from 11:34 to 11:48 AM lasting for just over 2 minutes. 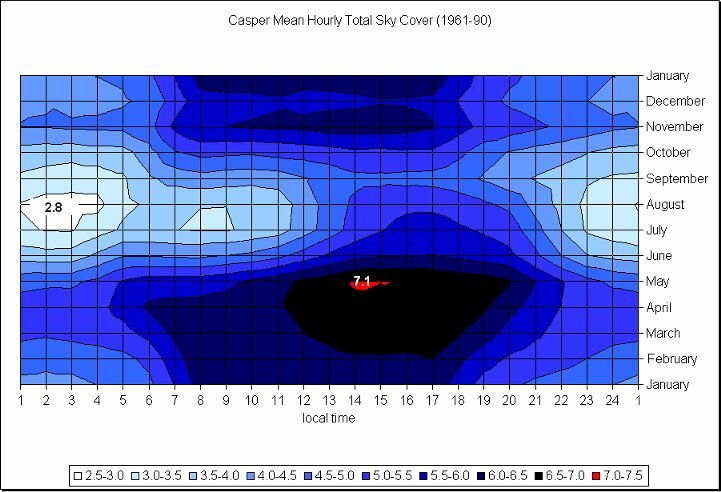 Casper's mean hourly total sky cover based on observations from 1950 - 1990. Annual minimum shown during August from 1:00 to 5:00 AM. Cheyenne's mean hourly total sky cover based on observations from 1950 - 1990. 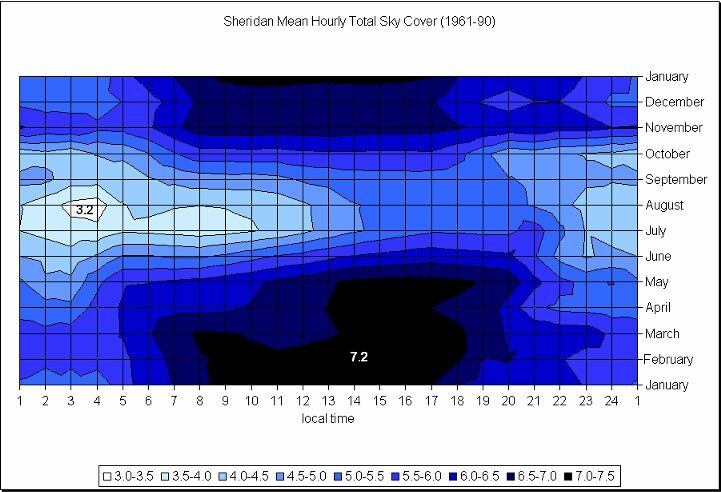 Sheridan's mean hourly total sky cover based on observations from 1950 - 1990. 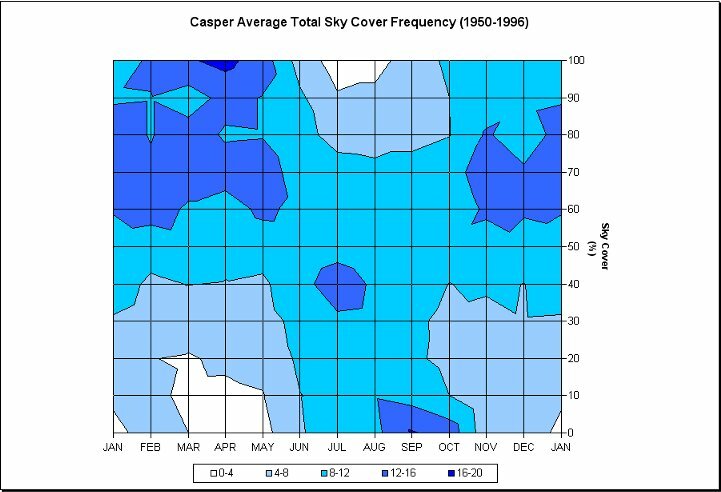 Casper average total sky cover frequency. Minimum cloudiness occuring in early fall. Lander average total sky cover frequency. 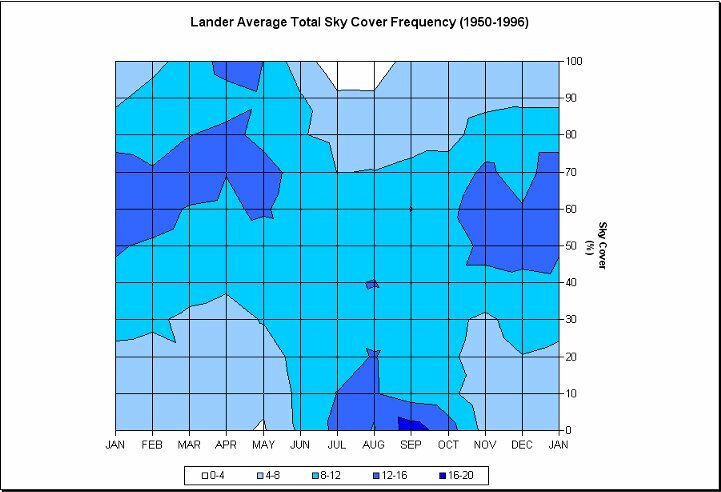 Sky cover minimum ranging throughout the summer months. 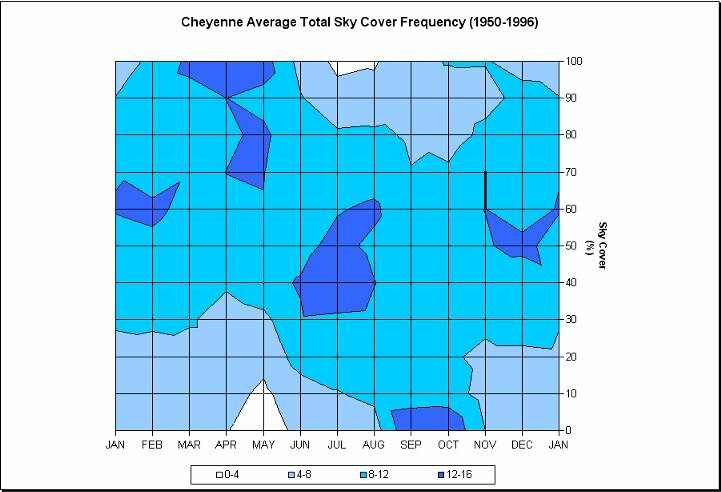 Cheyenne average total sky cover frequency. 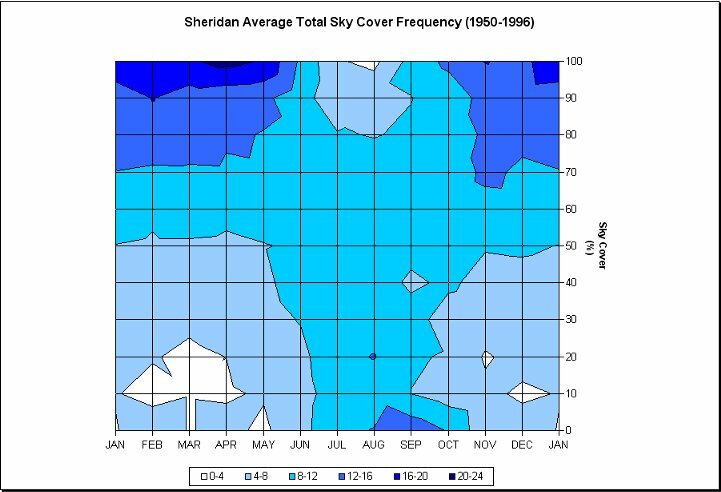 Sheridan average total sky cover frequency. Monthly cloud statistics based on daylight hours only. A clear day is defined as a day with zero to three-tenths average sky cover. Due to rounding annual totals may differ from 12-month totals.